A newborn has very simple needs when it comes to “play”. 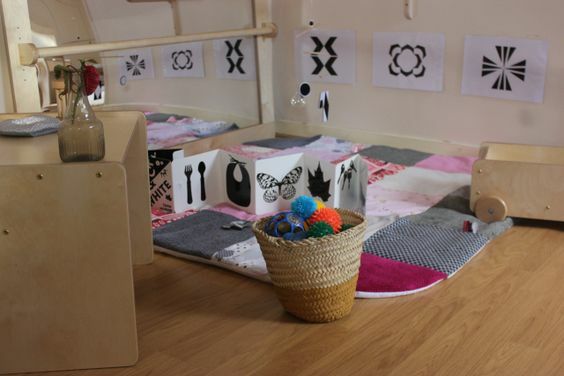 Singing, eye contact, being spoken to, looking at simple, color contrasting images, sensory textures are about all it takes to engage and enjoy time with baby in newborn play spaces. 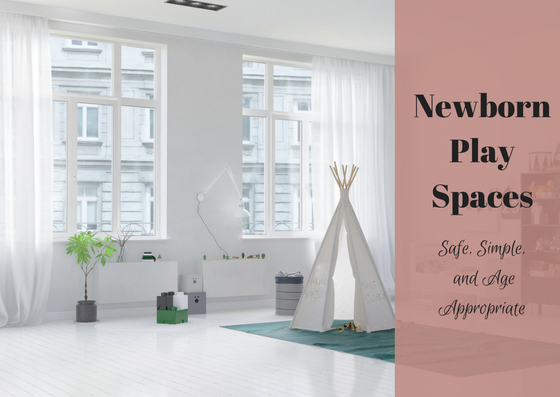 But its never too early to start thinking and planning a play space for baby. Their needs will change as they grow, but here are a few tips to get you started! Whenever it comes to baby, safety is essential. Even though at first baby won’t be able to move at all, it won’t be long before she is rolling and scooting. It’s better to prepare a safe space early rather than when it’s too late. Gates, electrical plugs, no dangling cords, etc. Another thing not everyone would think of is ensuring all furniture is bolted to the wall so there is no potential for something toppling over if baby tries to pull up or climb up. If your area isn’t carpeted consider purchasing foam mats or a thick rug for the floor. As baby grows there will be many bumps and tumbles! When it comes to babies, overstimulation is always something to consider. Babies can be easily overstimulated so it is important to keep their environment simple, clean, natural, and age appropriate. Natural toys are great for baby. 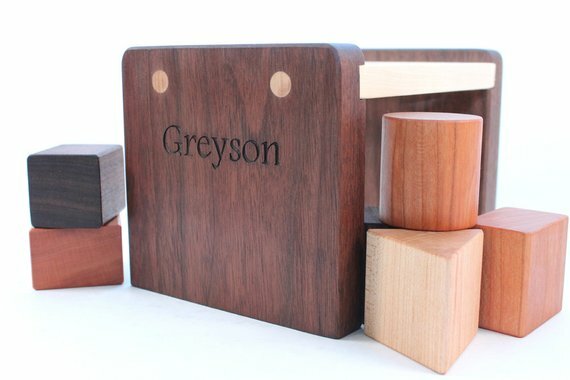 Loud, noisy electronic toys will certainly hold their attention, and they are OK in moderation, but wooden and basic toys are best for baby’s development. One thing to consider is a safe place for baby if you need to leave the room. While babies need plenty of floor and explore time, keeping them contained is occasionally needed as well. Exersaucers, jumpers, and playpens all work great. 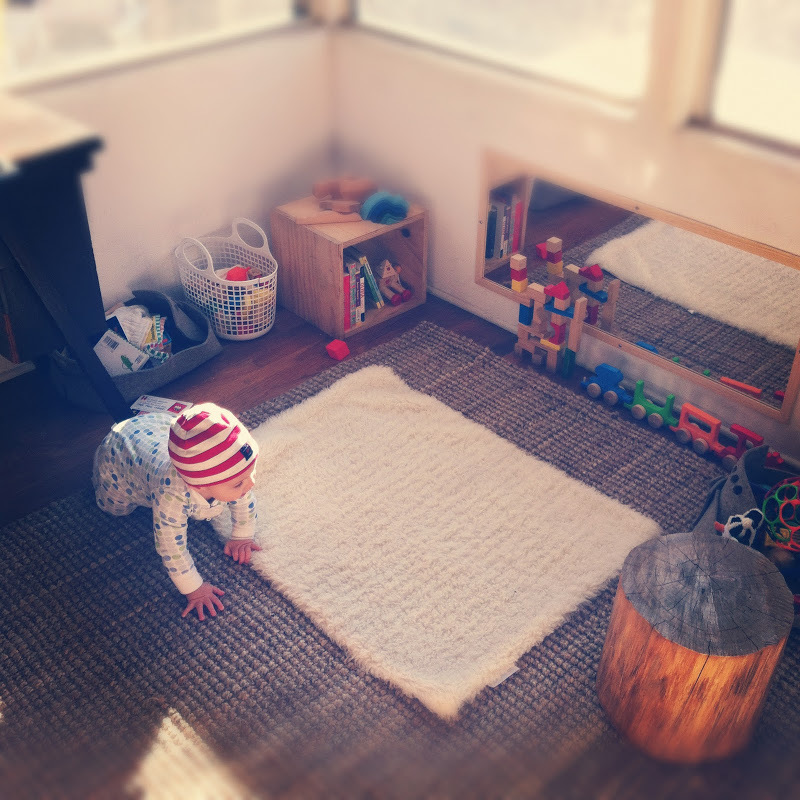 The Montessori method has many fantastic ideas about newborn play spaces. 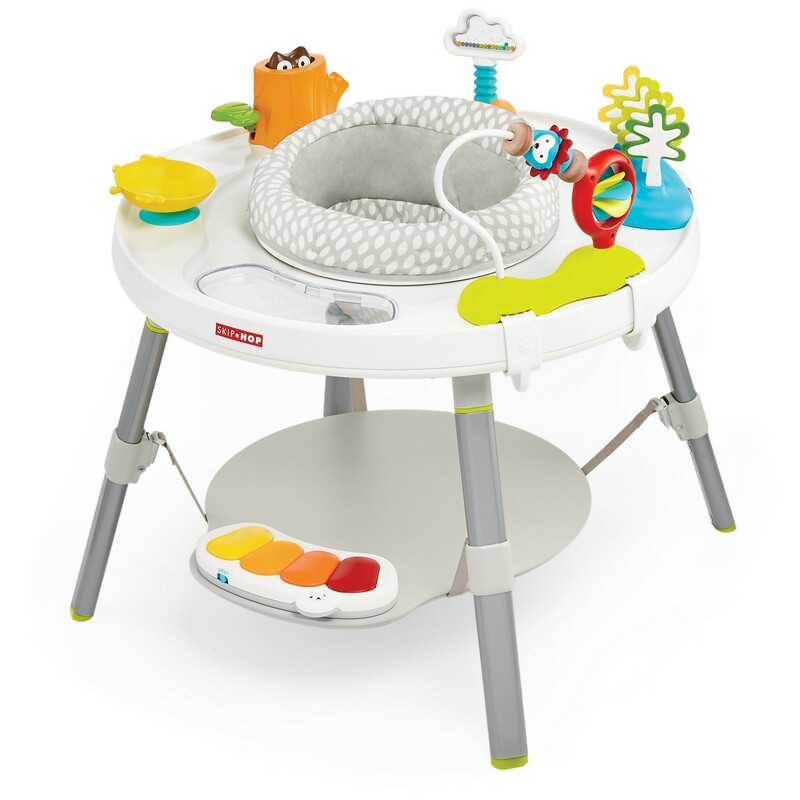 It includes things like mobiles with interesting objects that have contrasting or natural colors, low hanging pictures and mirrors, wooden toys and rattles, soft and fluffy balls and other toys, books, and a soft rug.